Jerry’s Artarama is more than just another Raleigh art supply store. We strive to be a vital part of the local artistic community and serve as a gathering place for creative people to meet, greet, shop, and learn. We’re always adding new workshops and events, so be sure to check our calendar regularly to see what we’re offering next. You may find the perfect seminar on a technique you’ve always wanted to try, or you may just pop in for snacks and some great conversation at one of our social events. No matter what your interest, our Raleigh art classes and demos have something for everyone, so stop by to see what we’re all about — we guarantee you’ll have a great time! Raleigh’s In-Store Workshops & Free Demos! We offer a full slate of workshops taught by experienced local artists. Whether you’re interested in alcohol ink drawing, painting, printmaking, or mixed media, we have an instructor who’s ready to help you take your skills to the next level. Stop by our store and see our full schedule of workshops by medium or by instructor to find exactly what you’re interested in. We recommend signing up in advance to make sure you get a spot! At Jerry’s Artarama in Raleigh we’re happy to offer food and fun for everyone throughout the week. 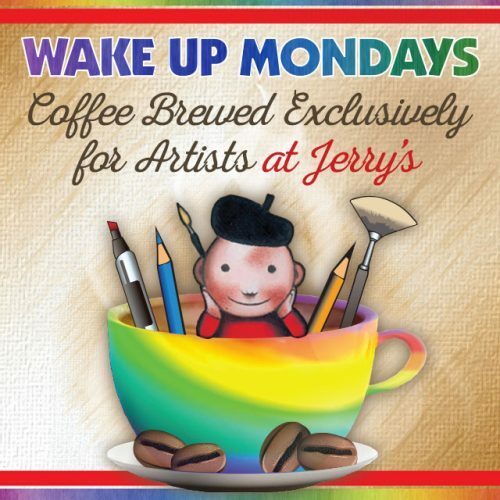 Get your week started right with our Wake Up Mondays programs to get going with a little coffee and creativity. 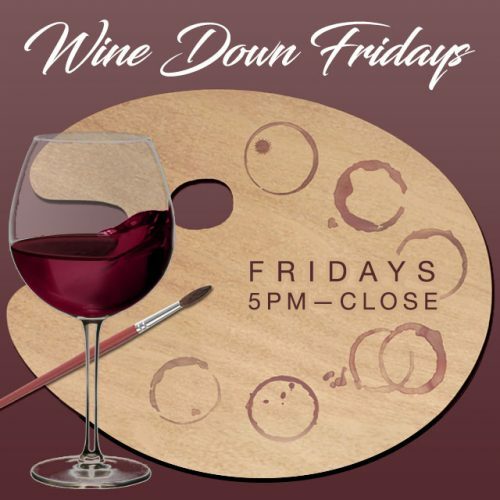 Once you’ve gotten through the week, kick off your weekend with our Wine Down Fridays, where you can enjoy art and wine with fellow artists from the community. And be sure to take advantage of our Free Saturday Art Demos where you can learn some new tips and tricks to take your art to the next level. 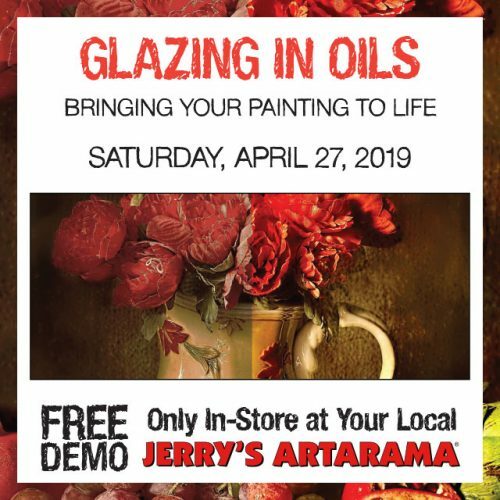 There’s always something fun happening at Jerry’s Artarama in Raleigh! Ever wish you could sample new art supplies before you commit to purchasing? On weekends, we set up our popular “Try Me Table” with different tools, supplies, and themes each week. Whether you want to test out a new set of art pens for coloring or a certain type of paint for printmaking, our free demos let you get hands-on and work with our products to see if they’re right for you. You can also pick up a new skill and get to know our workshop teachers, as our demos are often run by our creative instructors. 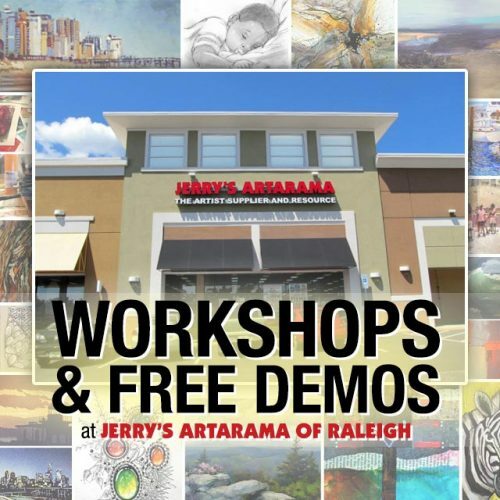 Jerry’s Artarama is always looking for ways to make shopping for art supplies in Raleigh fun. Artist workshops and free demos are a great way to get to know our staff and chat with other like-minded artists in the Research Triangle area. You can also bring your work to our frame shop to discuss the finishing touches for hanging and display. Whether you’re here for Raleigh custom framing or to load up on supplies, you’ll feel a part of our community of artists when you join in the fun during our special events.